"Almost 100 period photographs" are on display at the Long Beach landmark. Eye you-are-there pictures from the storied ocean-liner, in Long Beach. "ALMOST 100 PERIOD PHOTOGRAPHS... are displayed" in the recently debuted "Titanic in Photographs: The Exhibition." 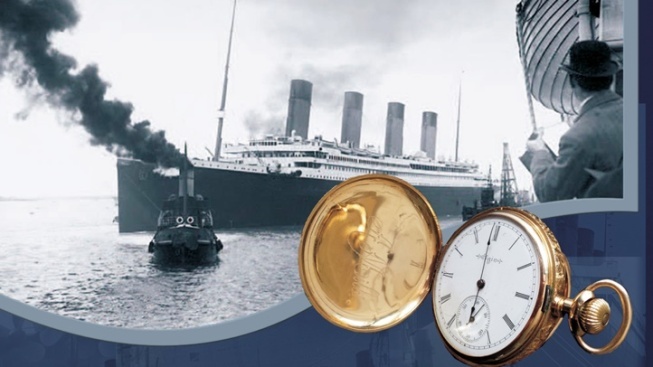 It's a "comprehensive, educational view of one of the most memorable moments in history," and exhibit visitors can take a peek at the Turkish Bath & Swimming Pool, the 1st Class Lounge, that famous sweeping staircase, and several other locations around the Titanic, many that aren't readily portrayed in the most commonly seen photos of the voyage. Who was behind the camera? Robert Welch, the professional photographer representing the shipbuilding outfit Harland & Wolff, as well as "period press photographers & passengers on board Titanic and the rescue ship, Carpathia." The photos are complemented by other Titanic-related items in the Queen Mary exhibit. A host of artifacts in display cases, including silver, light fixtures, and even some chairs, are found near the photographs of the ship.